According to the Department of Housing and Urban Development: The best way to keep your house cool is to shade the sun’s rays from the outside before they contact the glass. The Department of Energy reported that air conditioning costs account for nearly 56% of total monthly energy use in a typical household. 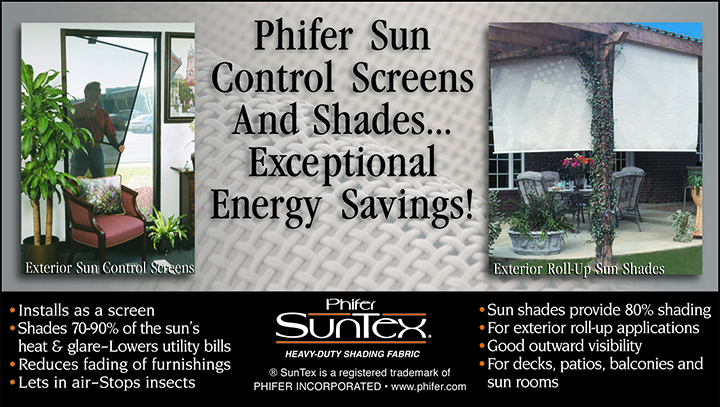 If installed throughout the home, solar screens can reduce interior temperatures by as much as 15 degrees, reducing the energy costs associated with cooling your home. Solar Protection Screens LLC has installed thousands of solar window screens—here is what a few of our customers are saying! I absolutely love my screens and garage doors!!!! From the moment of installation we could definitely tell the difference. Besides the effect they have on the energy bill, they look amazing. It was a smooth transaction, very professional work. Would definitely recommend friends. The finished product looks great. Dave was very professional, prompt and a perfectionist. He wanted to make sure it was perfect. He worked very hard in the sun and did not slow down. I would recommend solar screens to all of my friends, family, co-workers and strangers. Me and my husband are very satisfied and pleased.